The Smart Mirror I created uses a Raspberry Pi running Windows 10 IoT to display information on a mirror. Currently, the mirror displays the current date and time, pulls in my Google calendar events, shows the weather and forecast, displays Milan’s upcoming matches, shows Milan’s position on the Serie A table, and displays a customized news feed. 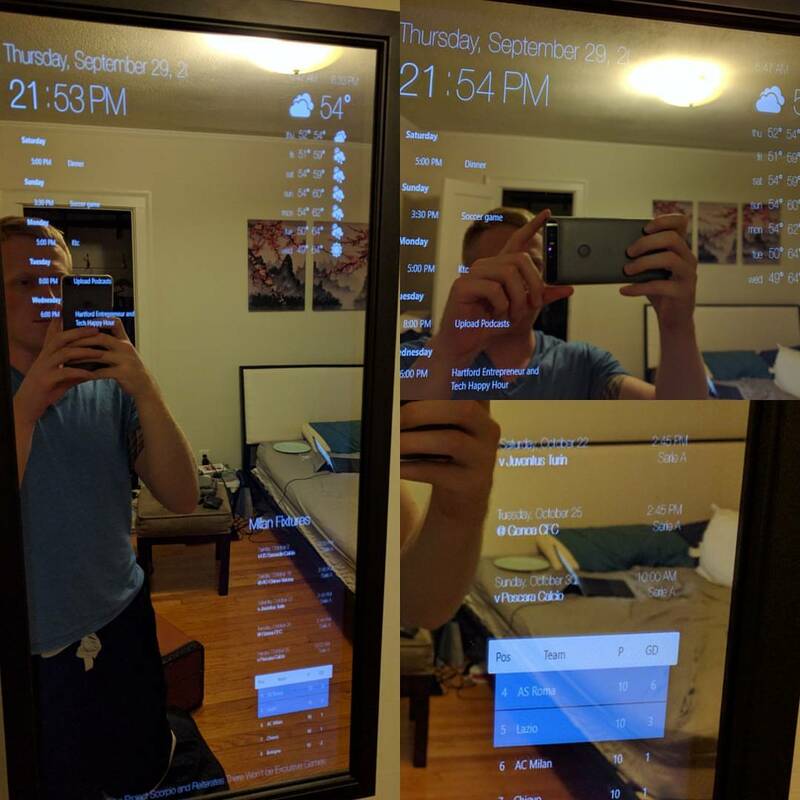 I developed the Smart Mirror app in C#/XAML to run on Windows 10. It utilizes APIs for weather, news items, Milan scores, and the Serie A table.